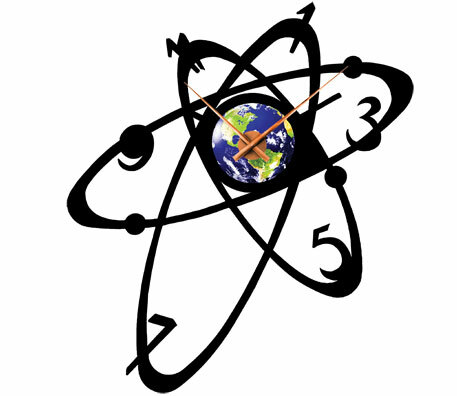 This june 30 will have an extra second to ensure time on atomic clocks stays in sync with Earth’s slowing rotational speed. The day might also be the last time the Earth measures time correctly because the process, called leap second, is likely to be discontinued forever. Several countries, including the US and China, have been vehemently opposing leap second, and a decision on its future will be taken at the World Radio Conference in Geneva in November this year. A leap second is a one-second adjustment that is occasionally applied to Coordinated Universal Time to keep its time of day close to the mean solar time. This is done because the Earth’s rotation is slowing down by about two thousandths of a second every day because of tidal friction. If these seconds are not introduced, the disparity will widen so greatly that over time the world will read midnight at sunrise. Introduced in 1972, only 25 leap seconds have been added till date. A leap second was added every year between 1972 and 1979. 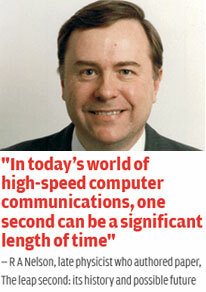 In the 1980s, six leap seconds were added. The world has added another four leap seconds in the past 13 years. The idea to ban leap second was first floated by US experts in 2005 when they said it did more harm than good. The leap second that was added to the first day of 1996 made computers at Associated Press Radio station crash. As a result, the station started broadcasting older programmes. In 1997, Russian global positioning system Glonass was broken for 20 hours after a transmission to the country’s satellites to add a leap second went awry. Even the last leap second in 2012 caused problems for big US-based companies such as Reddit, LinkedIn, Gizmodo and Four Square. “In today’s world of high-speed computer communications that time stamp messages at the sub-second level, one second can be a significant length of time,” wrote late physicist R A Nelson in his 2001 paper, The leap second: its history and possible future. “The problem is that during the leap second, the computer clock shows 60 seconds instead of simply rolling over to the next minute, or shows the 59th second twice. The computer sees a leap second as time going backward,” he said. “As an astronomer, I think time should follow the Earth,” says Daniel Gambis, director, Earth Rotation Service at the Paris Observatory. He calls the American effort an “intrusion on the scientific dialogue” (see ‘Brief history of time’). British astronomers have maintained that the abolition of leap seconds will render the Greenwich Mean Time redundant. “We have to take into account the slowing Earth’s rotation. It is not for any country to decide whether to incorporate it or not,” says Ashish Agarwal, senior scientist, Time and Frequency Department at National Physical Laboratory in Delhi. 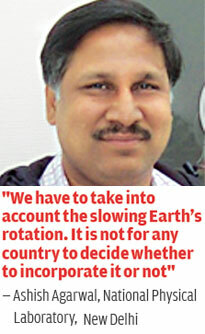 He adds that the importance of leap seconds will increase for India, which is developing a more precise atomic clock. “India is developing the world’s second atomic clock with Ytterbium ions that is more accurate than Caesium atomic clocks,” says Agarwal. Some others have argued that removing the link between time and the sun would require making changes to telescopes which will cost between US $10,000 and $500,000 per facility. Experts also fear that once this link is broken it could never be restored because although the Earth’s timekeeping systems are built to accommodate the occasional leap second, adding a leap minute or hour to global time would be virtually impossible. Astronomers agree that the leap second causes inconvenience, but believe looking for viable solutions instead of banning it makes more sense. Google, for instance, adds milliseconds to its servers at different times throughout the year to ensure an entire second is not added at once.